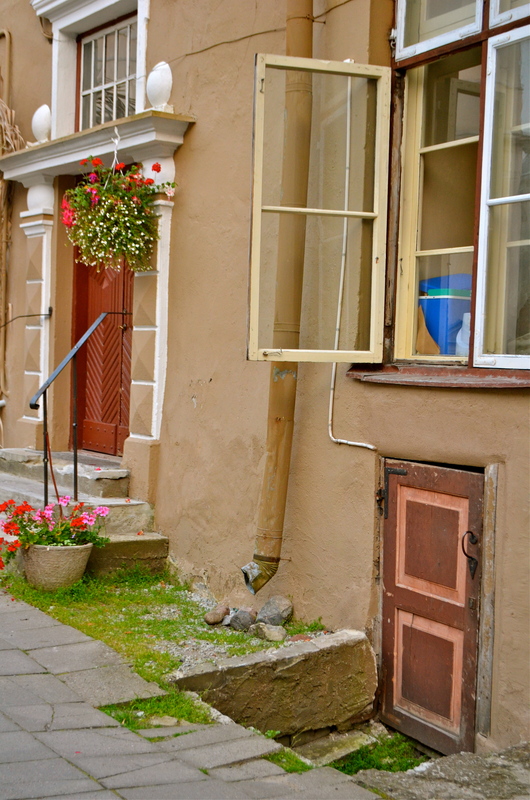 Located on the eastern coast of the Baltic Sea, Estonia has a coastline of 3700 meters. Surprisingly, the Baltic is not very salty and rather shallow, so it is warmer than you would expect. I’m not saying its bath water warm, but it’s not Lake Superior cold. 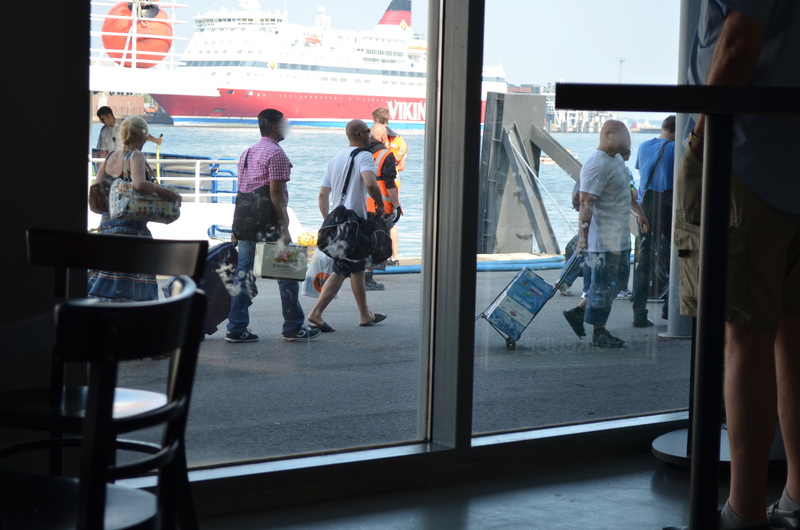 We traveled from Helsinki to Tallinn by boat in about an hour and a half. During the Cold War with Finland so close, the Soviet Union zealously guarded its western coast and Estonia became heavily militarized under communist rule. They were afraid people would defect. Also, large parts of the country were off-limits to all but the Soviet military. With Finland so close, most of the sea shore was declared a “border zone” meaning they were heavily fortified and citizens were prohibited from entering the water. They monitored the sand to see if there was tracks headed out that did not return. Most beaches were forbidden for Estonians. No one could even travel to the beach on a summer day for some fresh air, non-residents required a permit to visit them. Our guide told us that under communism this beach had barbed wire, concrete block observation posts (which must have been freezing in winter), other armaments and patrols. Today, they are hugely popular in the summer. Cool young Estonians and families flock to them to swim, play, cook out, camp, and watch the sunset. The Soviet Union brought hundreds of thousands of Russian migrants to Estonia to assist with their militarization. This forced migration resulted in an increase of about half a million people in 45 years! 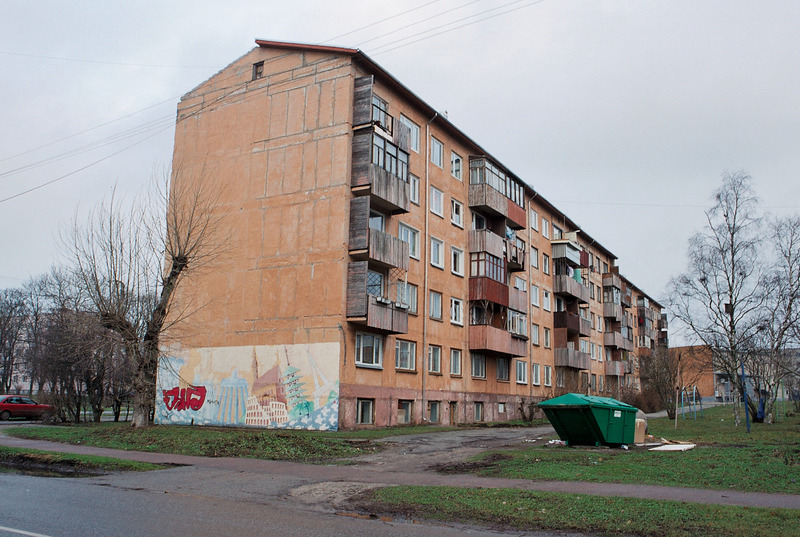 The Soviets built Soviet-style buildings apartment buildings for them. 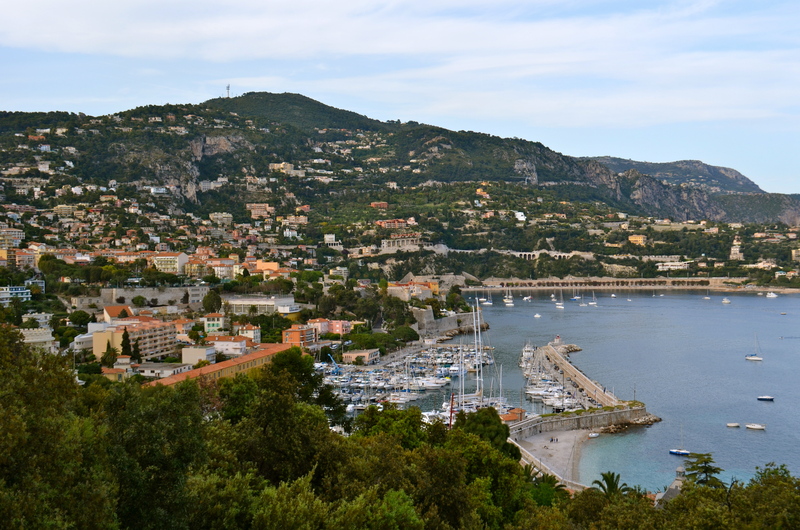 The styles are nicknamed after the Premier in power at the time of construction. 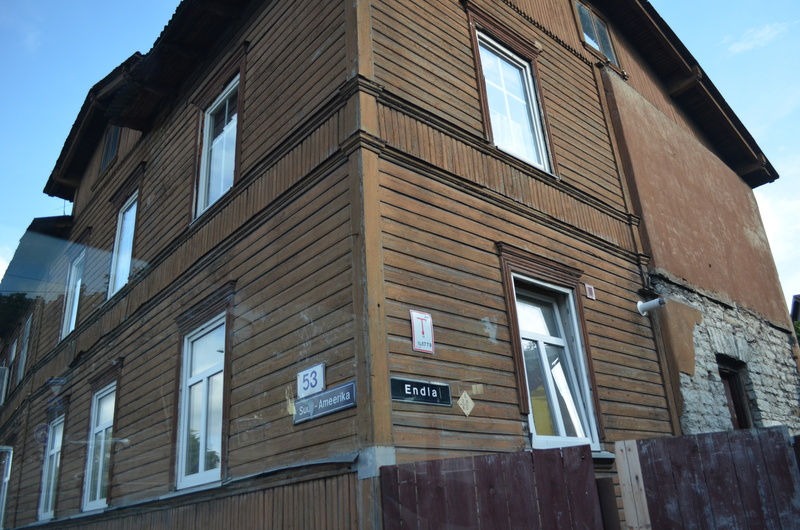 Apparently you want to live in a Stalin or a Khrushchev and not a Chernenko or a Gorbachev (they were actually General Secretary of the Central Committee of the Communist Party and/or President of the Soviet Union, not Premier), because the quality of the building materials degenerated. By the end, it was pretty shoddy. 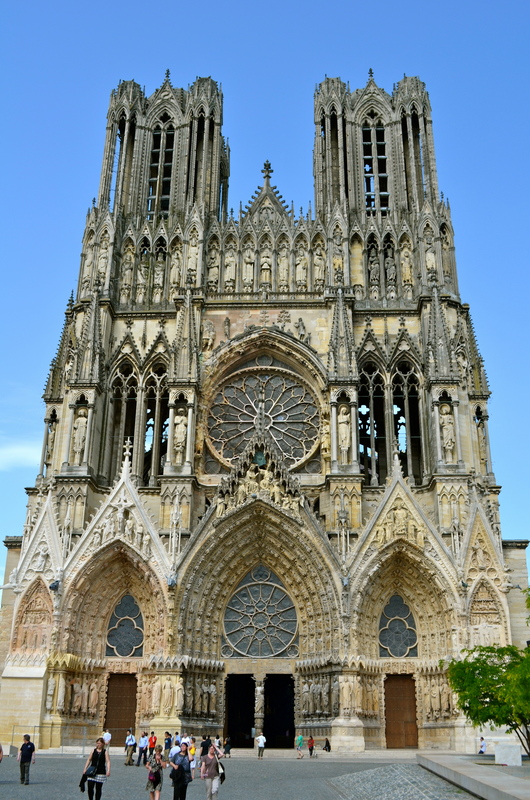 Once our guide pointed it out, it was easy to see the difference and tell when they were built by their state of decay. 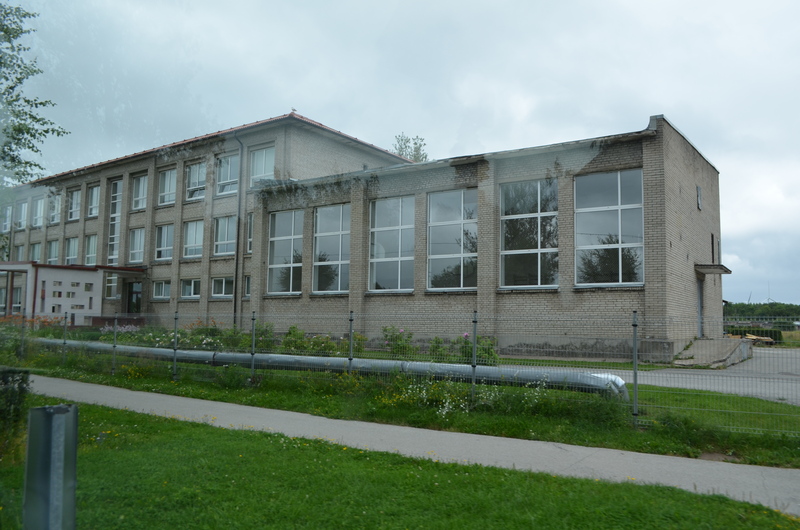 After the end of the “Cold War” the facilities passed to Estonian control in 1994 after the last Russian troops left the country. These Russian Immigrants were given the choice of returning to Moscow or remaining. Many chose to remain in their apartment blocks in former military towns; they’d spent most of their lives there and didn’t want to leave their home. As a result, today there are pockets of people who haven’t integrated into Estonian society, don’t speak Estonian and don’t have employment as the bases closed. Ethnic tensions linger and it is a significant problem for Estonia. We saw some pretty cool sights in Estonia outside of Tallinn. The Soviet’s had large air base in Estonia. Between the base and the cluster of buildings that formed the town servicing it, a cemetery is located back in the woods. It’s obvious that they are the graves of airmen. A large majority of the graves were unmarked. Our guide hadn’t figured out why. 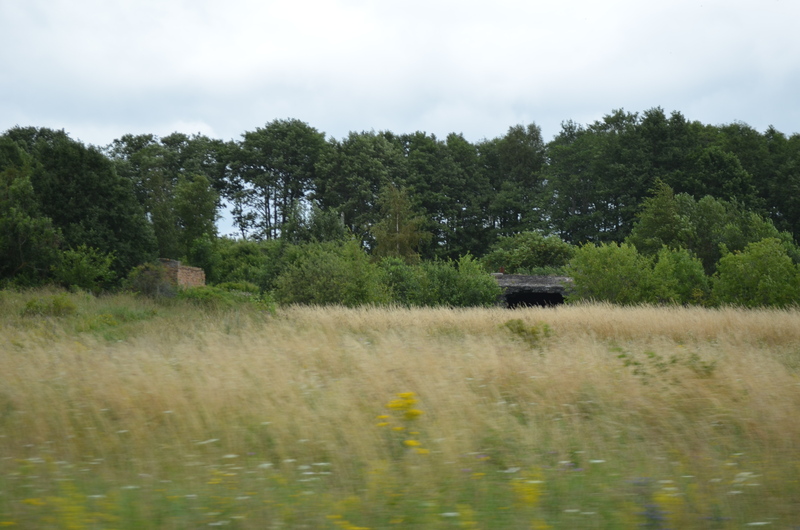 There is some ethnic tension between Estonians and the Russians who were moved here by the Soviet Union to towns where Soviet military facilities were located. After Estonian independence, many of these Russians stayed but have not integrated. Did they have plaques on them that widows took with them when they returned to Russia after the Cold War? Were the names and dates so secret that they were intentionally unmarked? Did the missions not “officially” exist? I had a lot of questions that our fantastic guide couldn’t answer. He hadn’t found any ethnic Russians who would talk with him about it. I joked about going door to door. He told me if they wouldn’t talk to an Estonian, they sure as heck weren’t going to talk to an American. Learning about Tallinn’s history I heard a phrase I haven’t heard since my high school Western Civilizations class, The Hanseatic League. Huh? What does that have to do with anything? Learning about it was pretty cool. The Hanseatic League was middlemen/traders. For about 500 years (from 1250-1750), they controlled most of the commerce in northern Europe. 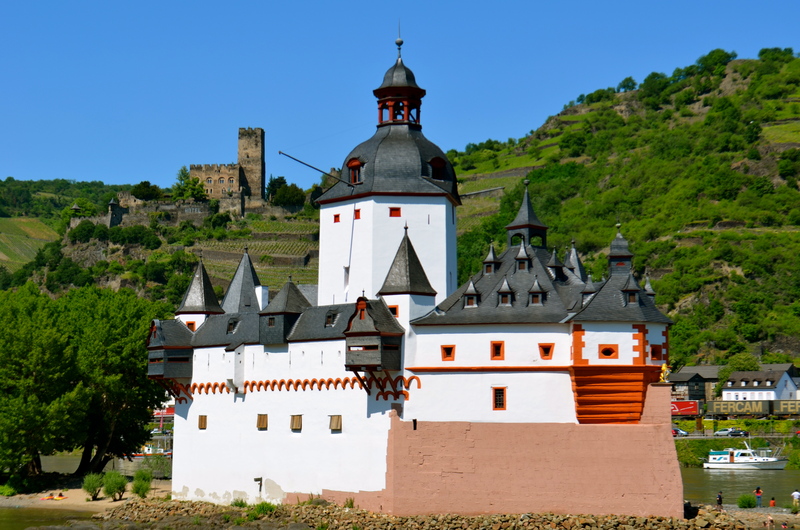 Before the rise of powerful kings and the modern nation-state, local leaders ruled small fiefdoms, kingdoms, dukedoms and probably other –doms. Local governments were small and relatively weak. City dwellers were interested in trade, but paying taxes and tolls to each and every feudal overlord was excessive and impeded trade. Rulers and the various -doms were too small to develop an effective coordinated response to pirates on the seas. 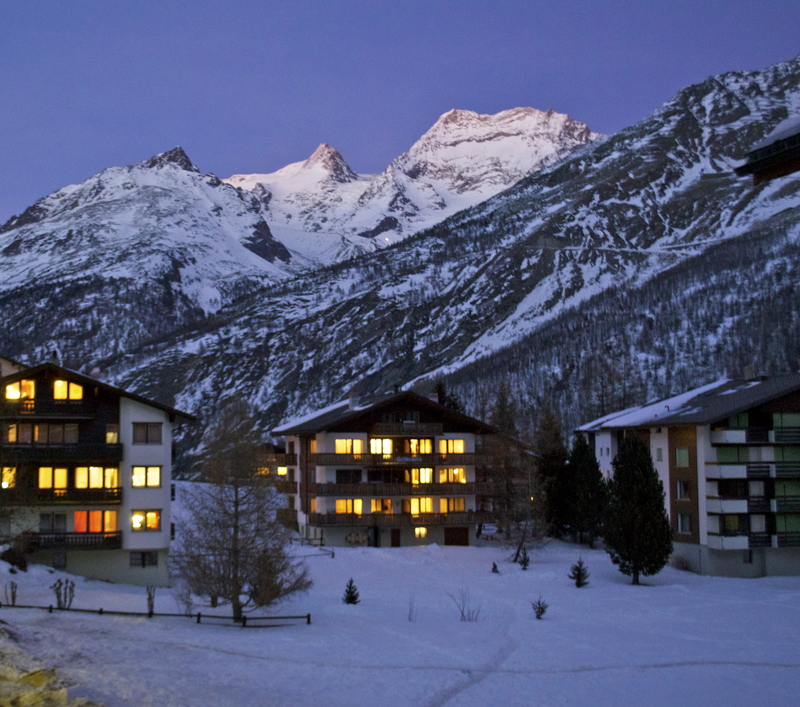 It was difficult to conduct any sort of large-scale commercial activity in such an environment. Enter the Hanseatic League. Prominent merchants banded together, forming a merchant guild to defend themselves against pirates. They hired armies to protect their ships and ports. It worked well and they began establishing trading posts in abroad where they bargained with local leaders for discounts. The Hanse (which in German means trading guild) would trade fish from Scandinavia for grain from the Baltics or luxury goods from Flanders or English wool. It worked well and trade flourished. Everyone got something out of it and the League got rich off of their cut. Not only rich, in a time before strong nation states, they became powerful. In their heyday, they were a dominant force and stabilizing influence. If it worked, what happened? Rising nation states, particularly their kings, didn’t want to compete for power and were jealous of the League’s wealth. Plus, the post-reformation religious wars tore apart old Hanseatic alliances. By the 16th century, trade moved decisively to the south and west as countries like Portugal, Italy, Spain and France set ships to explore and return with treasures from Africa and the Americas. 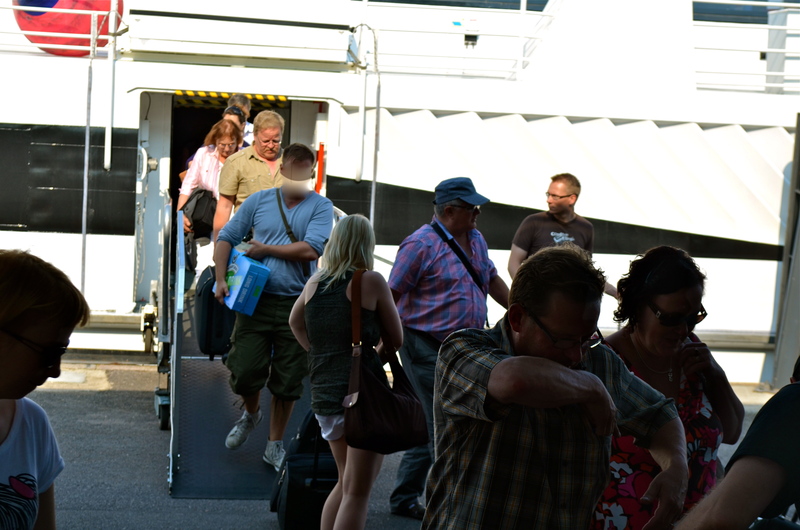 We took the ferry from Helsinki to Tallinn, Estonia. While it was a short ride, it had a culture that was distinct from Scandinavia, both Nordic and Russian. After the decline of the Hanseatic League, it experienced two centuries of Tsarist Russia rule before World War I and 45 years of communist rule after World War II. In September 1991, Estonia left the Soviet Union and declared independence (along with the three Baltic states of Latvia, and Lithuania). 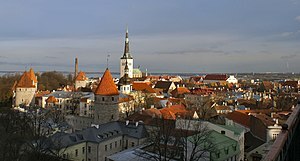 The U.S.S.R. recognized Estonia as being independent on September 6, 1991. In November Yeltsin issued a decree banning the Communist Party throughout Russia. While independence was natural for many Estonians, it has an enormous Russian population, many of whose families came during communism and never fully integrated. Nevertheless, many Estonians think of themselves as part of the Nordic and European sphere and Estonia is part of the European Union. 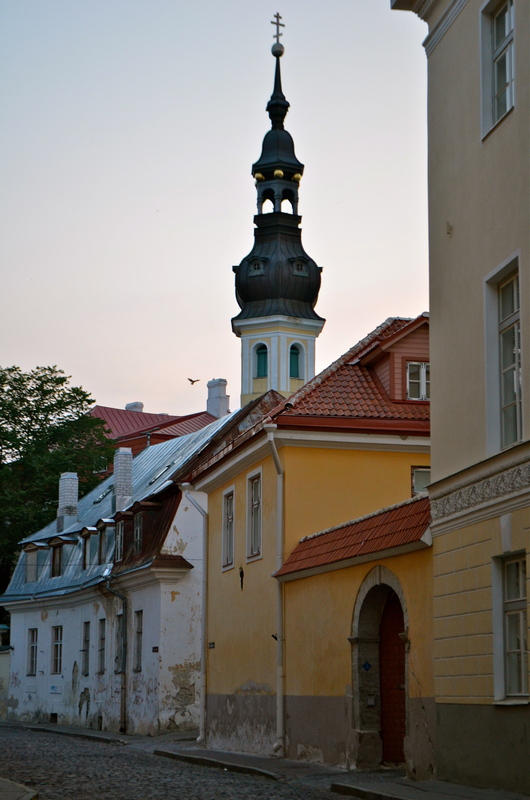 It was a quick walk into the old town Tallinn from the ferry terminal and an easy cab ride to the airport. While we saw old wood buildings in the areas surrounding the old town, the walled city has an Old World ambience. 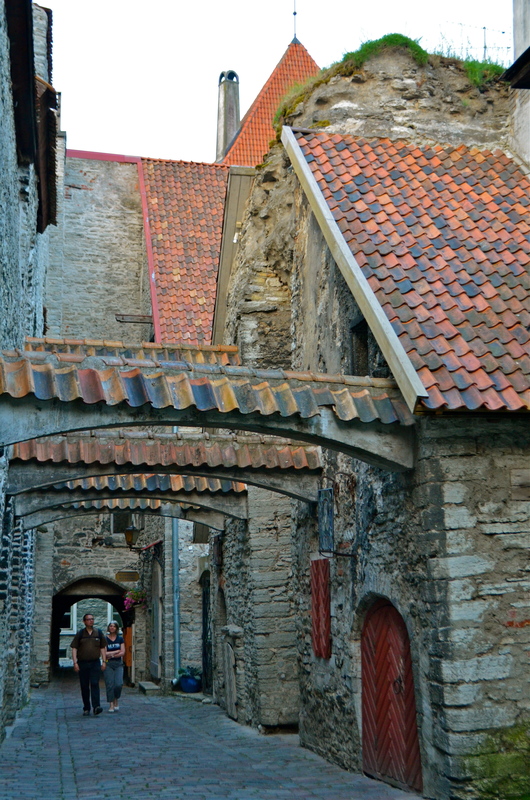 Tallinn’s old town medieval center is amazingly well-preserved as there wasn’t a lot of building there during communism. 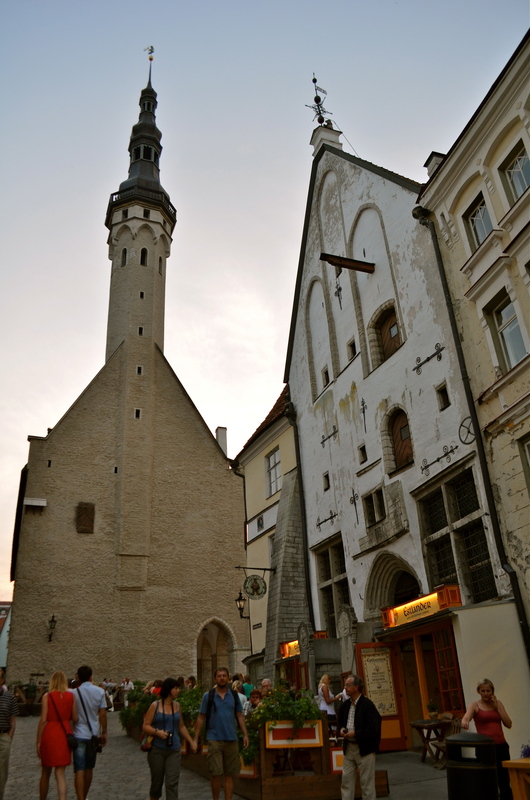 The old town has watchtowers, colorfully painted medieval houses, cobblestoned lanes, and old Lutheran churches. Post-communism, Tallinn modernized quickly and prices have risen with the development. Even so, being used to Swiss prices, we almost cheered when we saw Tallinn’s rates. The food was great and we enjoyed dinners out, something we don’t do often in Geneva. We weren’t the only ones, the streets were filled with people eating, drinking and making merry. There was a general relaxed, happy summer vibe. Scandinavians, especially Swedes and Finns, come for a night away and cheap alcohol as it is very highly taxed in their home countries. 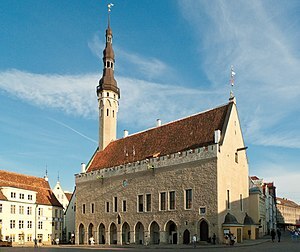 Town Hall Square has served as a marketplace since the time of the Hanseatic League. The 15th century Town Hall dominates the square. 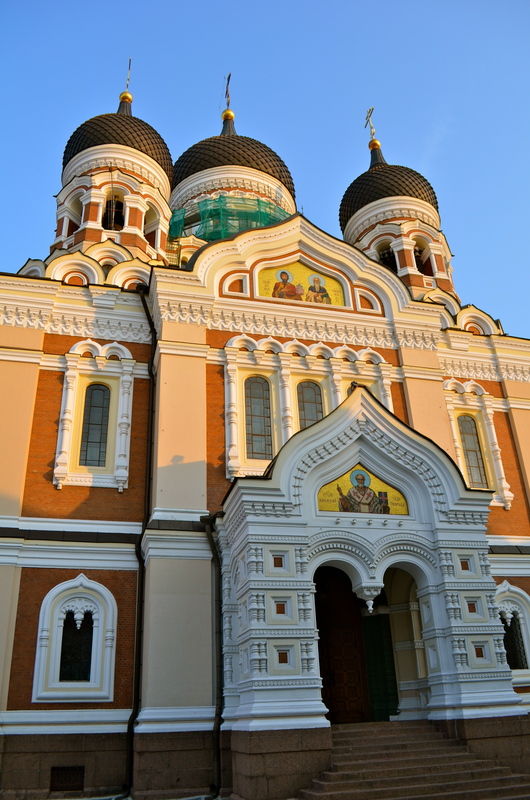 There are lots of impressive churches like the Cathedral of Saint Mary o, but the best part about Tallinn is the Estonians who inhabit it and how well-preserved it is. 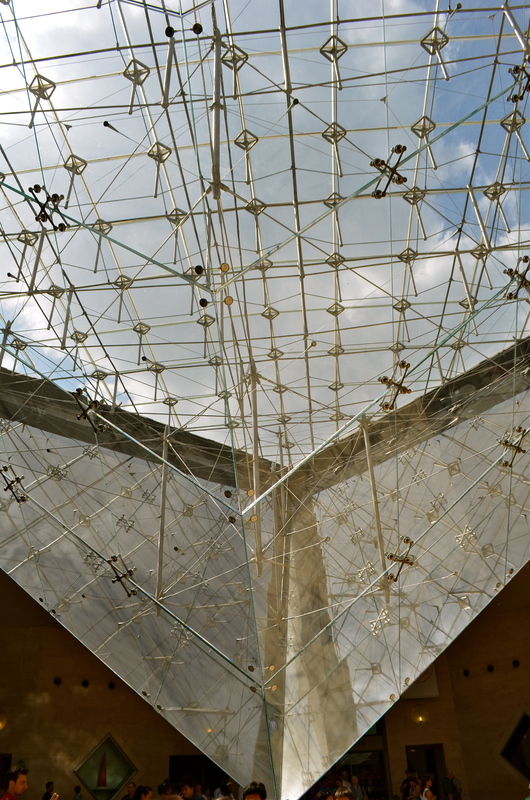 Enjoy wandering the streets, talking to people and taking in all the details. In Scandinavian countries, alcohol is HIGHLY taxed. 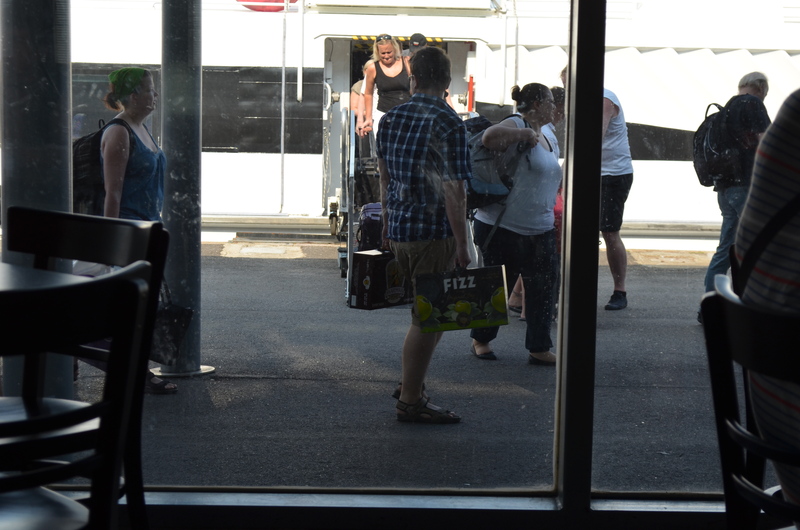 Not surprisingly, they are always ready to take advantage of a deal on alcohol. He says that he’s never seen anything like the Swedes with an open bar. Yes, I realize that I’m overgeneralizing a bit here. 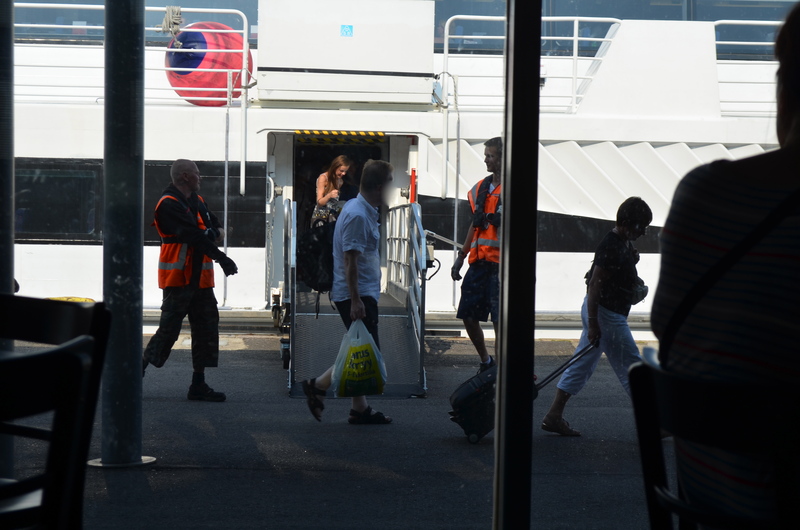 Alcohol is not taxed at the same high rate on the cruises and ferries in the Baltic. 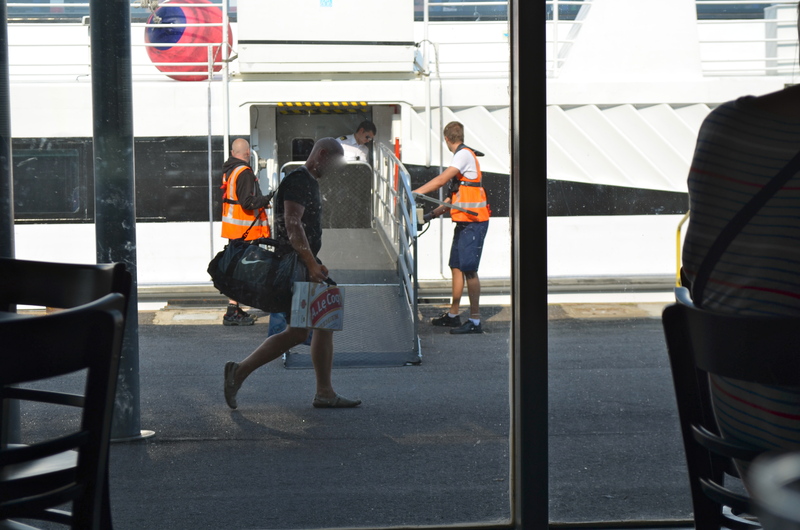 As a result, Booze cruises are popular and people take advantage of ferries to lower tax countries to buy alcohol. 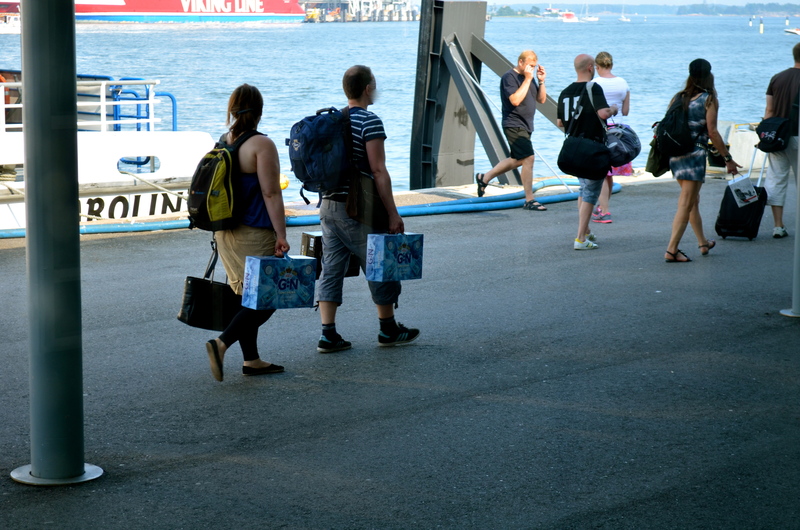 While waiting for our ferry from Helsinki to Tallinn, we saw people disembarking with their souvenirs. 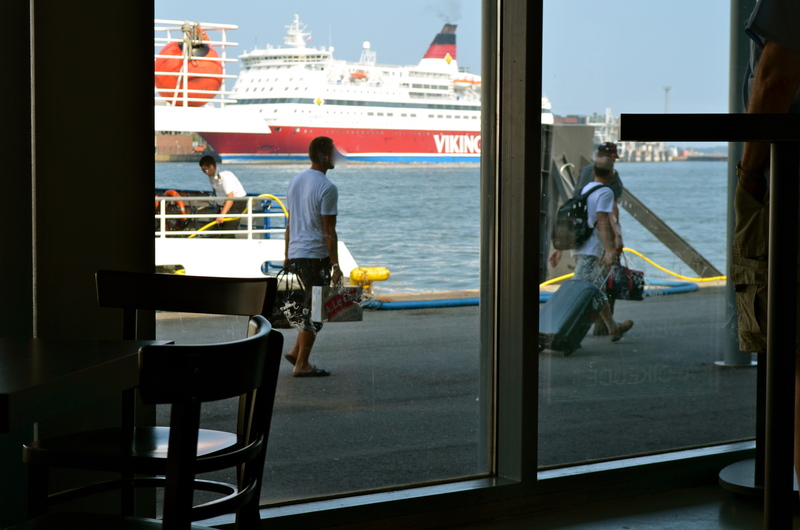 If you’re travelling in the Nordics and want to drink. You might want to plan ahead and take advantage of the deals from duty-free. The natives do.